Frank D Baldwin is not related to me. But, I am rather proud of my namesake. He is one of only 19 US soldiers to be awarded the Medal of Honor twice. 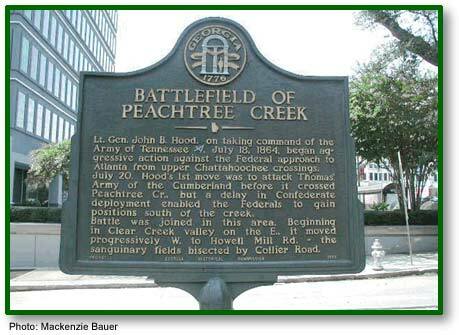 If you would like to find out more about theBattle of Peach Tree Creek there is a good article here. 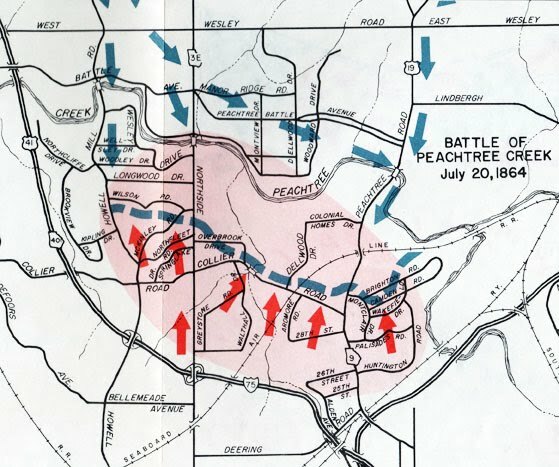 This battlefield is now almost entirely obliterated by the suburb of Buckhead. However there are memorials and a trail in Tanyard Park. If you would like to visit the battlefield, there is a guide here. 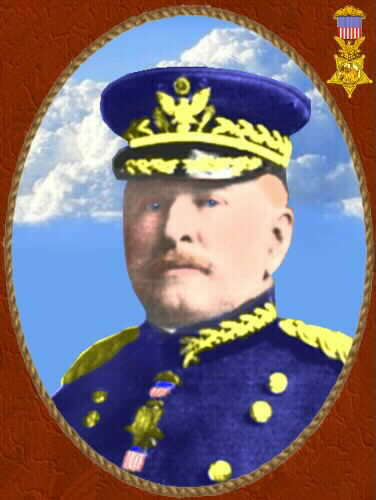 As a First Lieutenant, 5th U.S. Infantry. 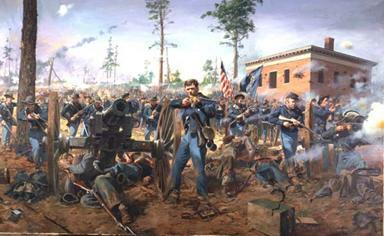 At McClellan’s Creek, Texas on 8th , November 1874. Frank D Baldwin “Rescued, with 2 companies, 2 white girls by a voluntary attack upon Indians whose superior numbers and strong position would have warranted delay for reinforcements, but which delay would have permitted the Indians to escape and kill their captives. There is more on this action here. McClellan’s Creek, is in Grey County, Texas. The battlefield is near McClellan Creek National Grassland.